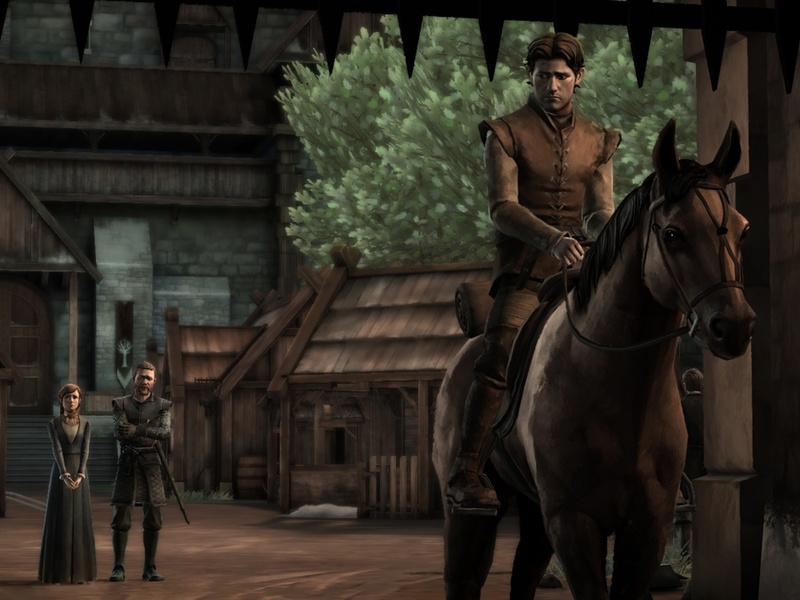 Developed by Telltale Games. 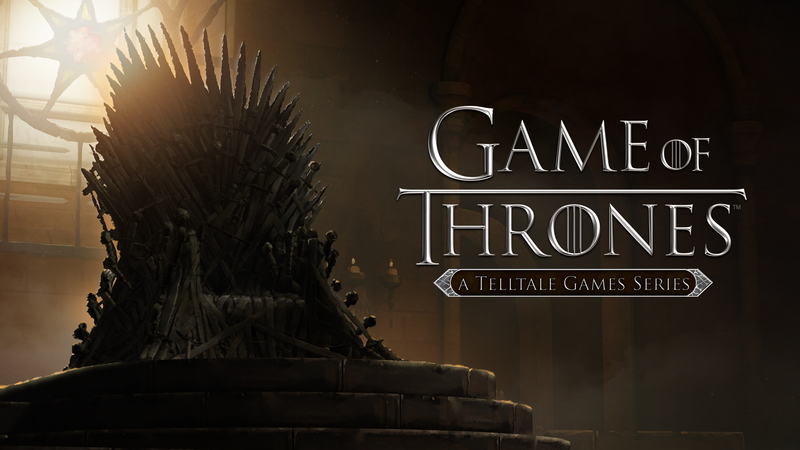 Published by Telltale Games. Released December 2, 2014. Available on PC (reviewed), OS X, PlayStation 4, Xbox 360, Xbox One, iOS, PlayStation 3, Android. Review copy provided by the publisher. If there's one thing I've learned from reading George R. R. Martin's fantasy epic or watching the HBO adaptation of the story it's that I shouldn't be surprised when bad things happen to good people. And yet, I still am. Every time. 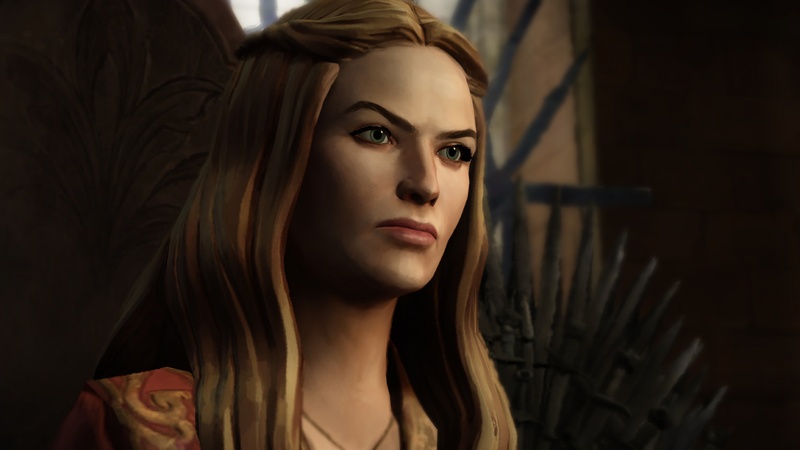 That I am able to feel real heartbreak playing Telltale's latest episodic adventure game is a testament to the skill of the writers and designers at the studio. They took the dense subject material of Martin's world, threw it in a blender, and spat out a tale just as grim and harrowing. It's an extremely entertaining homage, for sure, but it certainly isn't fresh or exciting either. 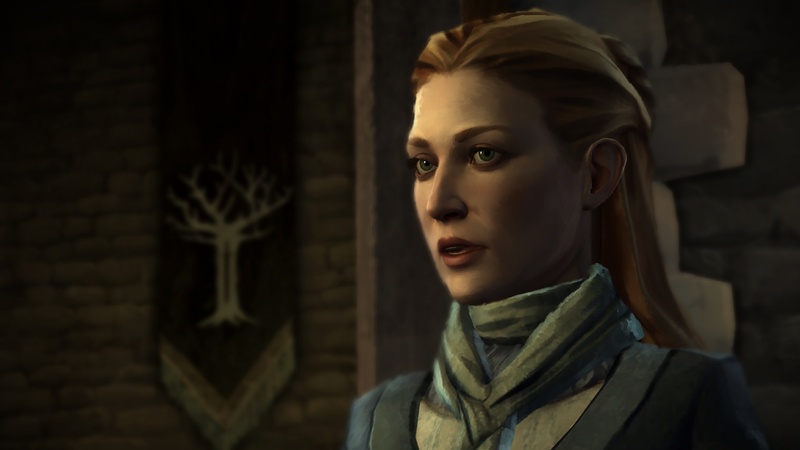 The first episode of Telltale's six-part series is called Iron from Ice, which is the motto of House Forrester. 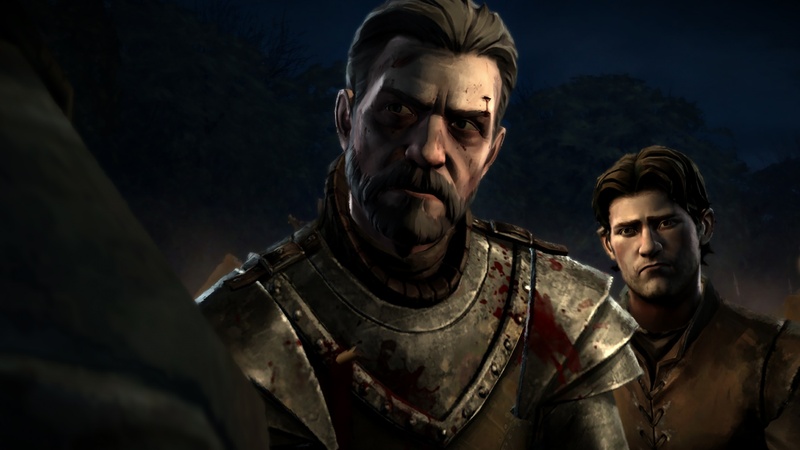 Set mostly between the 4th and 5th seasons of the HBO adaptation of Game of Thrones, the Forresters have already dealt with some of the consequences of Ned Stark's travel south to King's Landing and his son's rebellion. And with the opening moments of the game controlling Lord Gregor Forrester's squire Gared at a certain wedding celebration, the fortunes of the Forresters are only going to get worse when the stern Boltons take power in the North. 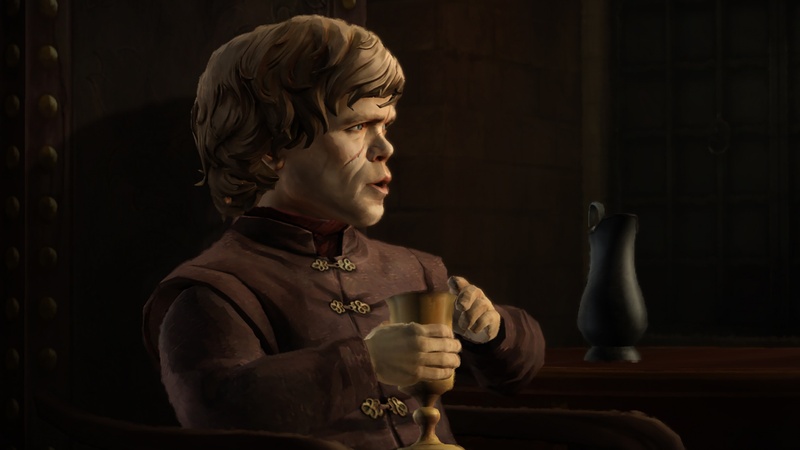 The episode is successful at weaving its plot around known events like this, flitting from settings like the Kingsroad, the Twins and King's Landing while the bulk of the action takes place at the Forrester fortress of Ironrath. In addition to Gared, you'll also control a few other characters in House Forrester as they grapple with the politics of the realm. In this way, Iron from Ice really does feel like an episode of the HBO show, complete with a rendition of the opening credits sequence. 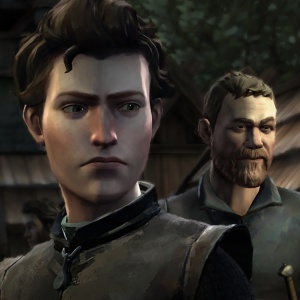 The graphical style of the game is different than the cell-shaded trademark look of other Telltale games. It looks like you are watching an animated painting, with soft, blended, flickering lines instead of solid black outlines. The effect is pleasing for the most part, even if it may lead to some odd graphical glitches of trees blinking in and out of existence. The Forresters are generally a likeable bunch, with adolescent twins Talia and Ethan struggling to act strong and the eldest daughter Mira attempting to stay afloat in the mire of the capitol's intrigues. Honestly though, the large Northern family feels far too similar to the one most people fell in love with on the show. 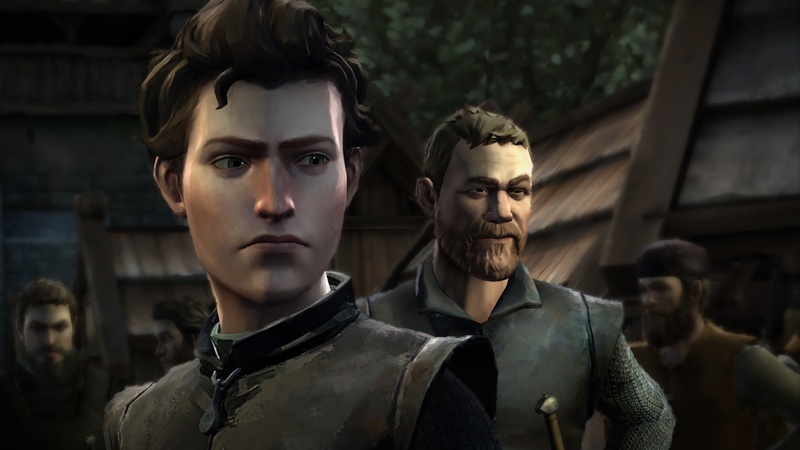 There's the warrior-like eldest son, the disgraced second son, the dutiful Lady Forrester, the servant forced to go to the Wall and even the boy who doesn't really understand what's going on. 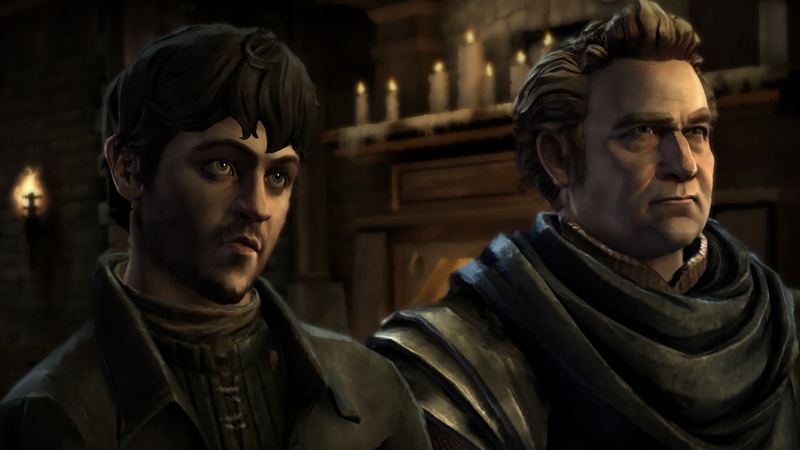 The supporting cast isn't much better with the cartoonishly harsh Ser Royland and learned Maester Ortengryn being cut from unoriginal fantasy tropes. Thankfully the word "direwolf" is never mentioned, but I thought of the Forresters as the "NotStarks" anyway.